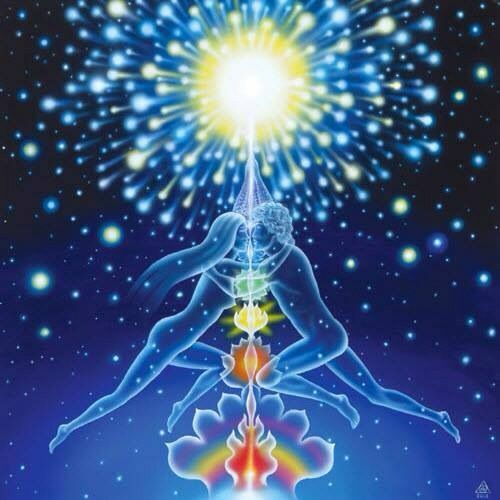 Oneness begins with merging your female and male energies. Male and female energy at its very essence, two flows of creation itself. Pure manifestation energy existing within and without unity; where all things are one. It is the two fundamental, primordial forces colliding, creating and finally combining together to make something new and beautiful. Through all levels of life, whether it’s new life being conceived or the birth of the universe itself: two primary forces are critical in the formation of new manifestation. As we were “made in Gods image”, we too are naturally born both as a unified whole – and subdivided into many parts. From this stems the concept of male and female energy; two sides of the same coin and completely perfect opposites at that! There are many different metaphors, deities, behaviors and impressions of what these dualistic energies represent. All describing the different facets of the same source. Unifying these energies allows us to feel 'as one' - sovereign.